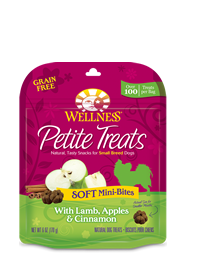 Wellness® Petite Treats Soft Mini-Bites With Lamb, Apples & Cinnamon are sized just for Small Breeds, and have a flavor even the pickiest pooch will love! 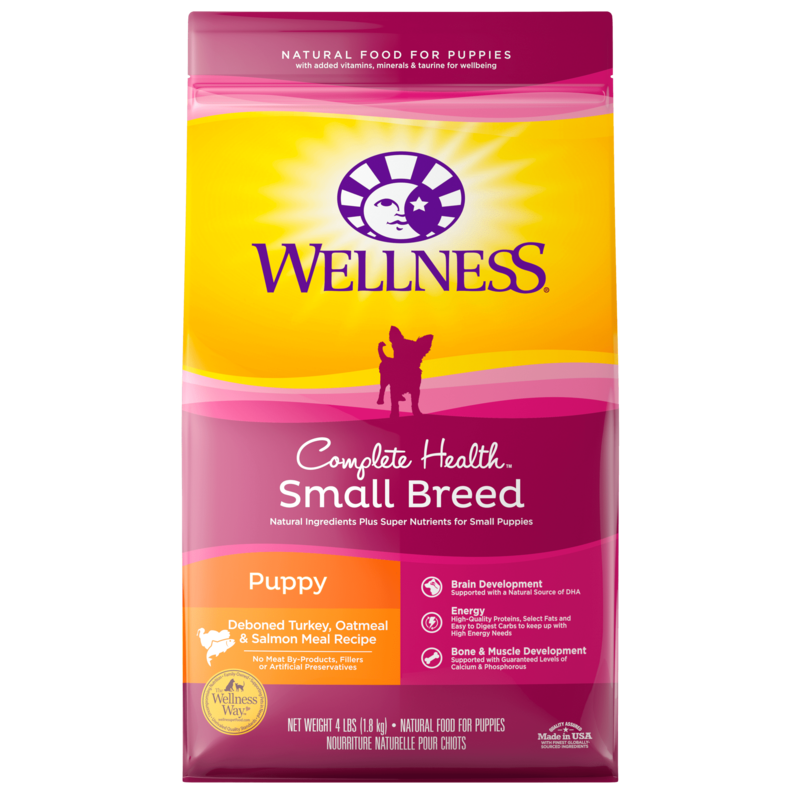 First-Ever Natural, Small Breed Exclusive Treat Line! Unique Snacks for Little Friends! 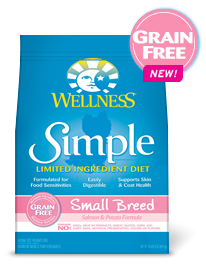 Each mini-bite is packed with great flavor from whole foods along with flaxseed to promote a healthy, shiny coat. Product may appear enlarged in image. Lamb Meal, Dried Ground Potatoes, Tapioca Flour, Glycerine, Lamb, Chicken Fat (Preserved with Mixed Tocopherols and Citric Acid), Cane Molasses, Pea Fiber, Apples, Flaxseed, Chickpeas, Salt, Cinnamon, Guar Gum, Mixed Tocopherols added to preserve freshness, Rosemary Extract. Calorie Content: This product contains 3,120 kcal/kg or 4 kcal/piece ME (metabolizable energy) on an as fed basis (calculated).